Korean handset manufacturer LG worked closely with Microsoft when Windows Phone was being developed, and the LG Quantum was one of the first wave of Windows Phone models. But in October of 2011, the device was discontinued. For those who had been hoping to see a new Windows Phone 8 model developed by LG, better start wishing for something that you might see happen in your lifetime. LG told CNET that while it remains open to producing a smartphone powered by Microsoft's mobile OS, the company doesn't see demand for such a phone. "We want to give customers what they ask for," said a representative from LG. The comments refute a Korea Times story published last month that quoted an LG executive as saying that LG was working on some Windows Phone 8 models in 2013. Not only might LG be turned off by what it sees as weak demand for Windows Phone 8 models, it also could feel that Microsoft's relationship with Nokia is a bit too close for LG to develop a relationship with the crew at Redmond. And that is saying nothing about the Apple-Android combination which makes any other OS difficult to sell. Besides going where the money is, LG also has to consider how much of its resources it would want to tie-up on a Windows Phone 8 project. For now, LG, Android is receiving all of LG's attention and focus. LG's representative at least had the sense not to burn all bridges. "When there's a significant market for it, we will be on board," he said. No one has a chance of profit with Windows Phone because Nokia exists there. LG is slowly dying it seems. I remember the days when everyone had an LG it seemed. Now I almost never see anyone buy one. Samsung rose, LG slid. As for Windows Phone 8 demand, we've started selling quite a bit as of late. Its a great option for many users. On the other hand the LG Quantum really didn't seem to sell. Crappy company? They do make HDTV's too. And they make screens some manufactures use. And Blu Ray players, and...etc. And my first apt AC unit was by LG. We must remember...mobile phones is not the only thing some of these companies do. And lets not forget the LG Prada....that doesnt get the credit it deserves for todays's smartphones. Not saying Nokia isnt a good company....but what else do they do besides mobile phones? If LG is dying then Nokia is DEAD. They have been DEAD the day they recruited that Microsoft Mole E-Flop. RIP Nokia. Well it looks like its over for WINDOWS any way they only have HTC AND NOKIA & Samsung. Lol @ your statement. Samsung's popularity alone could fuel Windows Phone if they wanted it to. Samsung, Nokia &HTC are power players. Please phone arena why are you writing about LG crap all the time!?? You are so biased! Sammy is the best and largest phone company. News about Sammy GS4 anyone??? US is not the only market for smartphones although it's a big customer base, you don't need to sell well there to be successful. Hmmmm... I remember me and a person on here (probably a WP or Nokia fanboy) had a lil debate about OEM's jumping ship from Android because they said they were gonna do WP8. First he stated a flat out lie. Most do both Android and WP. As far as I know...only Motorola and Nokia does one and not the other. Second...as far as I know....no company has ever been rumored to not do Android anymore. So far this is 2 in the last 6 months saying they were not doing WP8. There was even an article about HP probably doing an Android tablet...former WebOS OEM. Not saying it means anything...just pointing out the rumors.... Stay tuned for another article about this being a misquote later this week...lol. Just read about the Nook. So far thats the only company doing Android that is rumored to not do it anymore. I stand corrected. I never handled a Nook, but have a Kindle and Kindle HD. The Kindle must be a better device..or more popular. talking about WebOS. LG has acquire WebOS from HP. Go to engadget they have an article about it. I cant post links and phonearena hasnt posted anything about it yet even though i tip them already. 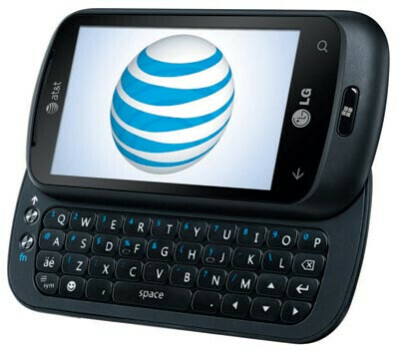 if it would be as crappy as the optimus 7, then i can just reinforce LG: we have no demand for it! 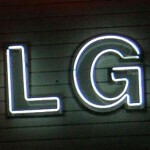 LG doesn't sell well anyway..
well they made the nexus 4, why jump to Microsoft (and Nokia?) when you have Google on your side?